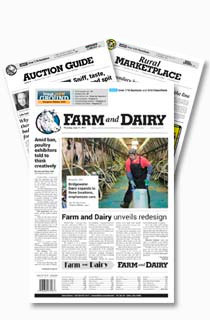 Farm and Dairy dug through its archives to find out what the top stories were this year. The economy and the industries it impacted the most are at the top of the list. The top story of 2009 by many accounts was the fight against the Humane Society of the United States by Ohio farmers. In February, the Humane Society of the United States issues warning to Ohio farmers they want laws created to end cages, veal crates and gestation stalls. 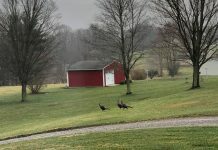 Representatives from Ohio’s poultry, beef, pork, veterinary medical associations and the Farm Bureau go to work and get the legislature to put a ballot initiative on in November. Voters listened and went to the polls. 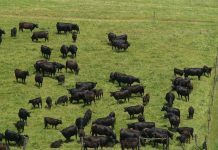 A constitutional amendment is passed and it creates a “Livestock Care Standards Board” which will consist of Ohio farmers, representatives from producer organizations, a veterinarian and a local humane society to help determine regulations for which livestock should be cared for in the future. The 2009 economy will probably live on in some people’s minds for years. It is the year almost everyone cut back on things and many people started staying close to home. Many people started gardening in order to save on the food bill. The agriculture economy was no different, after seeing record highs in some sectors in 2008, this year has brought a different story for farmers. The net farm income forecast for 2009 is down $30 billion (34.5 percent) from 2008. 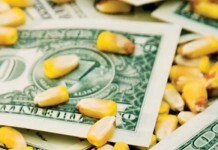 The 2009 forecast is $6.5 billion below the average of $63.6 billion in net farm income earned in the previous 10 years. The dairy industry witnessed milk prices many could not have imagined within a month of each other. Milk prices reached all-time highs in December 2008 just to crash into lows that hadn’t been seen since the 1960s. In December 2008, milk producers were seeing milk prices as high as $20 per a hundred weight to only see them crash to $13.50 a hundred weight in February and even into the $12 range in June before they rebounded a little and gave farmers some hope. Some larger dairies weren’t able to survive and bankruptcy erupted including the Chesterfield Dairy and the Hopewell Dairy in the western portion of Ohio. The H1N1 virus (it began as the swine flu, but thanks to the National Pork Producers Council, the name was switched) caught the nation off guard in April. It started in the south and spread north. It created a scare among people, and the result was a drop in pork consumption. However, after the fears were unfounded, the public stopped blaming swine. Several months later, the flu is still hitting the U.S. and there is a vaccine for it now. The question, though, for many pork producers is will they make it this year without throwing in the towel after a second year of bad prices. What was a civil matter between Witmer’s Feed and Grain and a former employee makes its way to the media. The lawsuit continues with a jury trial scheduled for Feb. 2 in a Mahoning County courtroom. Witmer’s filed the lawsuit against Donald Curfman Jr. who had worked for the company for about 15 years. According to the lawsuit, Curfman is accused of issuing grain tickets to Belinda Ingledue without actually receiving any grain from her as part of a scheme to defraud Witmer’s. The alleged thefts are believed to have occurred from 2003-2007 and have totaled more than $900,000. Leroy Baker Jr., owner and operator of Sugarcreek Livestock Auction, has been fined more than $162,000 by the USDA for violating equine transport laws. The USDA filed a complain against Baker in March 2008, alleging he violated the Commercial Transportation of Equines for Slaughter Act. The allegations spanned 2003-2007. Russell C. Redding was confirmed by the Pennsylvania Senate as the state’s 24th secretary of agriculture. Redding, most recently the department’s executive deputy secretary, has been a part of the department’s leadership team since 1995. He had been working in the capacity of acting secretary since the departure of Dennis Wolff in September. Wolff joined the lobbying firm of Versant Strategies. Kathy Beutler, of Columbus Grove, Ohio, the former treasurer of the Ohio Farmers Union pleads guilty to stealing between $100,000 and $500,000 from the group in four years. Beutler has pleaded guilty to aggravated theft, a third degree felony and is awaiting sentencing. She is to be sentenced in Feb. 22 and could face up to five years in prison. Norman E. Borlaug, the agricultural scientist who believed it was possible to could stop famine in developing countries across the world lost his battle with cancer. He received the 1970 Nobel Peace Prize for developing high-yielding, disease-resistant wheat used to prevent famine in developing countries throughout the world. He died in Dallas. Today, India and Pakistan are self-sufficient in food production due to Borlaug’s interventions. The harvest that didn’t seem to want to end. Or at least that’s how some farmers viewed it. 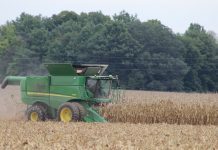 Weather stopped farmers from getting soybeans off on schedule and wet weather and wet corn delayed the corn harvest. The delays kept the dryers running at grain elevators across the state for weeks at a time in an attempt to get the crop in. The good news for farmers in this area is many producers were able to get their harvests completed before winter weather set in — the same can not be said about farmers in the western portion of the U.S.